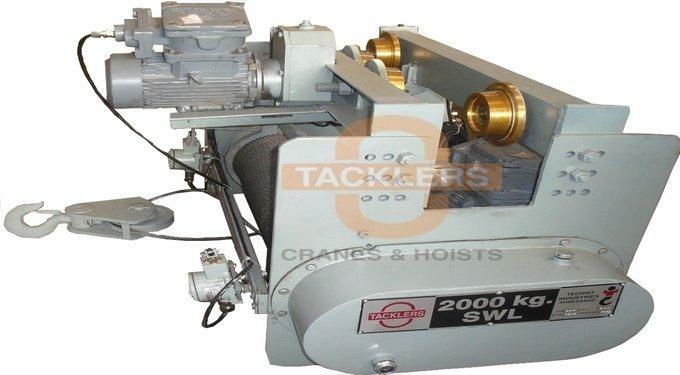 TACKLERS are Manufacturers of Explosion Proof Wire Rope Hoist or Flameproof Hoist with capacities from 0.25 Ton-50 Ton in Ahmedabad, Gujarat, India. When the workshop is full of explosion mixture, it can improve working conditions, increase labour productivity under safe. The Explosion Proof Hoist (Flame Proof Hoist) confirming as per IS 2148 specially applicable at such sites with explosion gas mixture combined by combustible gas, steam and air where the temperature classification is IIA, IIB, IIC. The working ambient temperature should be -20 - +40. It is suitable to be used indoors and if used outdoors, the safety equipment is required. This type can be considered as flameproof type. The outside explosion proof parts are made with no spark materials which make the anti-explosion be safe. Characteristics are: Small Volume, Strong Lifting Capacity, when there is full of explosive mixture in workplace, they can improve working environment and labor productivity on the precondition of safety. 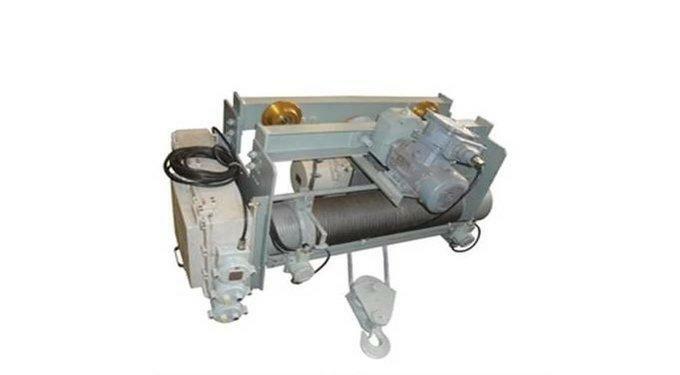 Explosion Proof Electric Wire Rope Hoist is made of several of independent stripped components. They are easy to use, maintain, inspection, and they can shorten inspection period. The Explosion Proof Electric Motor, Control Cabinet is independent explosion structure. Control button, limit switch, explosion proof lifting capacity. Limiters are all according to anti-explosion requests. The components can be in common use generally and with good interchangeability. According to the frequency of which an explosion risk situation can occur in the hazardous area. The danger of the gases or media present in the surrounding area in terms of how low a temperature at which the gas or media will ignite and the volatility of the gas or media present.